Willunga High School Launch – Success! On the 7th of December 2017, members of Project Horus participated in the successful launch of the Willunga High School’s 2017 balloon launch. 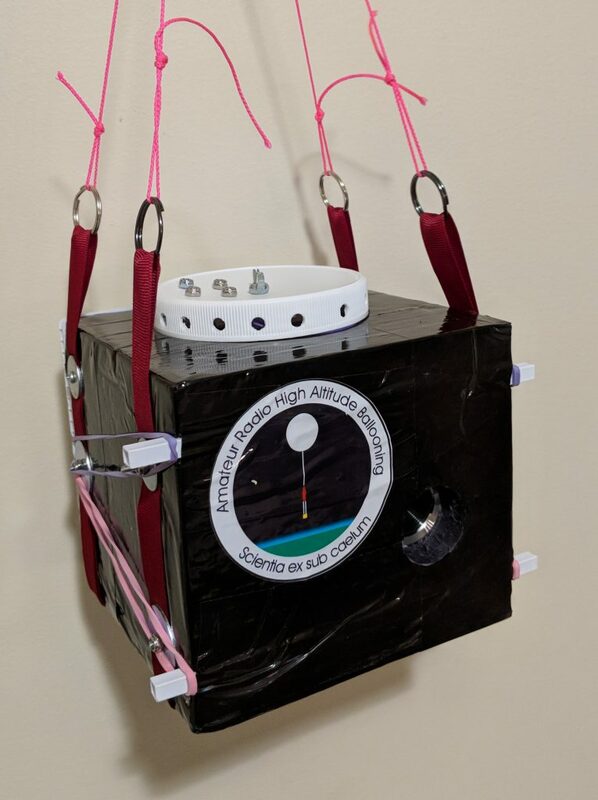 This year Willunga High School was participating in a ‘Balloons Without Borders’ exchange program with the United States ‘Near Space Systems’ – Near-Space Systems would launch Willunga High School’s payload, and the US payload would be launched here in Australia. The US payload contained cameras and various atmospheric sensors. The chase team consisted of Mark Jessop VK5QI, and Matthew Scutter, the developer of SkySight.io, a weather prediction service that Project Horus has made use of many times for launch-day weather predictions. This was Matthew’s first balloon chase, and as is custom, he got thrown straight into the deep end acting as navigator and operator of the chase car software. We launched right ahead of a cold front that was moving in, which threatened to make the flight challenging. During my drive to the launch site I encountered large areas of showers, however the Willunga area stayed clear for quite a while. The winds did start to pick up during launch preparations, but were not strong enough to make the launch difficult. We ended up with a total payload mass (combined across the 2x telemetry payloads, 1x Wenet imagery payload, and the BalloonSat) of approximately 1300g. 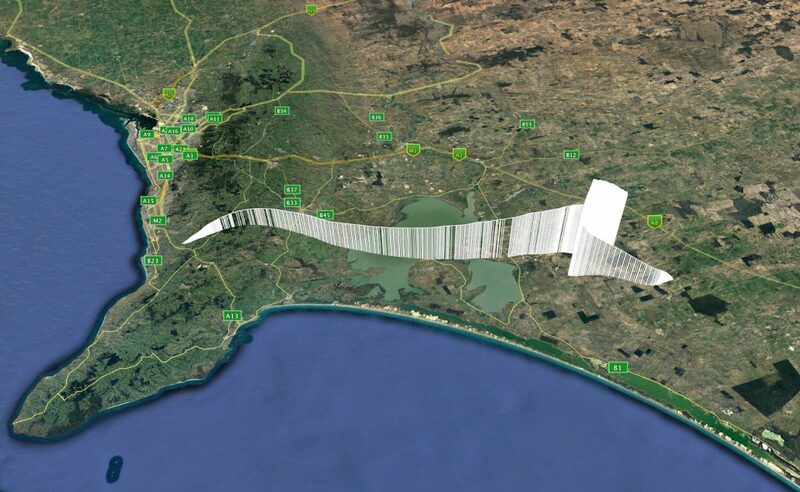 The flight proceeded pretty much as planned, with an average ascent rate of 5.2m/s. The payload’s ground speed was observed to reach 200kph at some points during the flight. 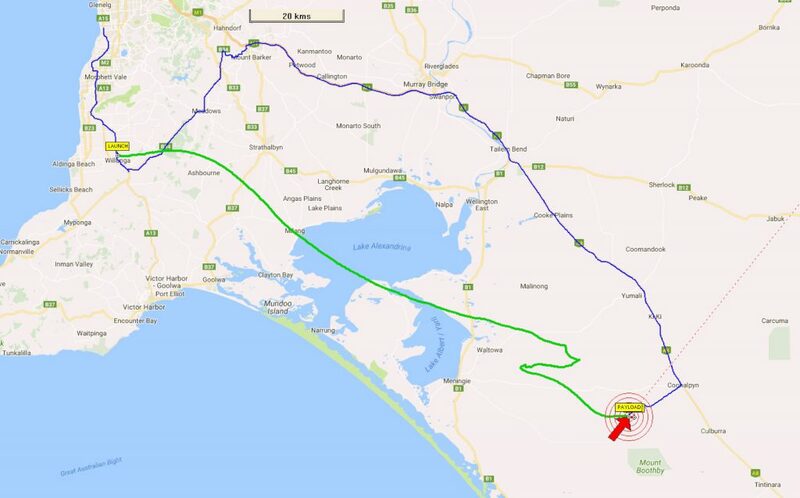 The balloon was cut away at just under the predicted burst altitude of 30km, in an attempt to bring the landing site closer towards the Dukes Highway, a major highway running through the region. The maximum altitude was 29949m. The descent rate was faster than expected, around 10m/s on landing. This turned out to be due to one of the payloads tangling with the parachute, causing it to not open completely. This brought the landing location a bit further away from the highway, and made the descent portion of the flight too fast for the our lonesome chase team to get to the landing site in time to watch the landing. We arrived about 20 minutes after landing to find the payload in a large, recently cropped field, about 200m from a road. Shortly after we departed, the cold front arrived and the rain started – we had recovered just in time! All the payloads were recovered in good condition, in spite of the faster-than-expected landing. Constructing the payloads from lightweight expanded polystyrene does have its advantages! The live Wenet imagery didn’t perform too well, mainly due to lack of receivers. I had a receiver running in my chase car, and Graham VK5EU did a great job of receiving from home. Thanks also go to VK5HS, VK5APR, and VK5NEX for decoding the RTTY telemetry throughout the flight! The flight profile and chase vehicle tracks can be seen here. Thanks to everyone involved in yet another high altitude balloon flight! This entry was posted in Project Horus and tagged willunga high school by VK5QI. Bookmark the permalink.